Raj works with businesses, organizations, and teams that want their people to transform their performance and entrepreneurial leadership to make progress. 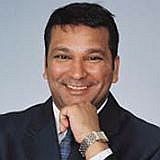 Raj is a performance and entrepreneurial leadership speaker (expert), author, and coach/advisor. He wrote the book, Winning at Entrepreneurship, Entrepreneurial Thinking Tools manual, and Your Raise The Bar Primer: Mental Performance Tools workbook, is interviewed by the media, and has written expert articles. Raj is involved in leadership, education, and healthcare initiatives. He has worked as a business consultant, engineer, model, actor, is pursuing his Masters in Human Resource Development (emphasis in Performance), has a Bachelor of Science in Electrical Engineering from Clemson University, and is an adjunct professor. Trade, business, community, and healthcare associations, corporations, schools, sports teams, and government use his services and products. He applies his practical leading edge performance research and process, High Performance Pyramid (Winning Mental Pyramid), towards your organization’s success. In addition to speaking, he coaches and advises entrepreneurs, small business owners, professionals, and is a volunteer NAMI Hall of Fame mental health facilitator. He has worked for Fortune 500 companies, mid-size, and small businesses. Consistently make progress to live a robust life and set personal best records with Raj's new book Transform Your Performance: Who Are You Becoming?